I was born in Phoenix, AZ on June 24, 1938, attended elementary schools in Phoenix and graduated from Peoria High School in 1956. I was always active in sports, mainly football and basketball. I became interested in horses when my first cousin, Gene Johnson, took me to the north Phoenix Western Saddle Club when I was 12 or 13 and my equine enthusiasm took off from there. After high school, I attended ASU where I was active in Rodeo Club and competed in NIRA as a team roper. I graduated with a BS in Agronomy in 1963. 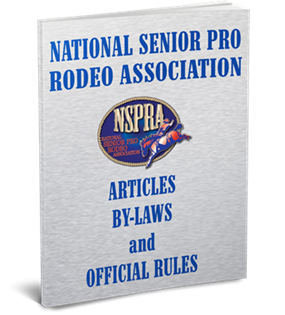 I continued my rodeo interest with the ARA for several years then joined the NSPRA in Las Vegas in 1979 and competed in the team roping throughout the Southwest. I have a wonderful family; wife of 54 years (Jane), 2 sons (Steve and John), 6 grandkids and 4 great-grandkids. They are my life support team! My NSPRA activities included some wins and places. I won the 50-60 team roping at the AZ Livestock Show with Al Eli of Montana. That put us in the Finals in 1991 with a go-around win. I won circuit champions with Danny Mundall in 2003 and 2004. I sponsored several luncheons at Buckeye for the NOTRA judging schools and had fun doing it. In 1990, I chaired the Buckeye Valley Hellzapoppin Rodeo Committee for the Main Street Bravo organization. In 1991, I moved on with the Buckeye Valley Chamber of Commerce under Rodeo Chairmen, Jay Broadbent and Ron Noble where I acted as the Liaison to the NSPRA and stock contractors until my retirement in 2004 when I was honored with the Hellzapoppin Top Hand Award for my 14 years of service. The Sr Pro rodeo which began in Buckeye in 1990 still continues and I was honored for my long term service again in 2013. I have enjoyed my position and the people that I met along the way. Thanks very much for the honor and I know I will be in with some top PRCA cowboys. I appreciate the honor.